PEJ News - C. L. Cook - Having missed my chance to play New Year's prognosticator, I'll throw my hat in here: My animal entrails tell me, Jack Abramoff, the man at the centre of the Scandale du Jour swirling in Washington will neither spell the end of George W. Bush's corruption plagued administration, nor signal a political sea-change in the way lobbyists ply their trade. a Google of Abramoff's name will return few new entries. The blogs have been abuzz over Jack Abramoff's plea bargain last week. The erstwhile Washington high-flyer's promise to "co-operate" with investigations into what some have described as the biggest Congressional scandal in more than a century is, for those wishing to see the Republican political apparatus collapse, a beacon pointing the way to George W. Bush's impeachment. As much as I'd like to agree, Abramoff is not the silver bullet so many have hoped for. Though the Affair d'Abramoff may deserve the epithet of "Congressional Scandal of the Century," the very scope of the case of the man who is to the D.C. lobby industry what Wayne Gretzky was to hockey ensures it will be consigned to the media memory pit; there are simply too many, on both sides of the aisle, implicated. Besides, when considered in the context of recent scandal: the 2000 election fix; the 9/11 fiasco; Afghanistan; Iraq; Valerie Plame; Guantanamo; Abu Ghraib; and of course the ongoing Katrina; it will take more than a bit of bribery gone too far to scuttle the Bush ship of State. Expect next week to read of the Justice Department's decision to slow the prosecution of Abramoff, just as has been done in the case of disgraced former media mogul, Conrad Black. The media, adept as it is in celebrating courtroom cases, doesn't well handle the cumbersome complexities of jurisprudence and its often glacial pace. Abramoff will sink from the public's view and consciousness, disappeared in a legal labyrinth too tedious to merit media attention. And a collective sigh in Washington will go up. None are eager to muddy the waters more; none willing to be the one to kill the goose whose eggs succor all. The mutual venality and corruption in Washington is the crux of the matter; it's the answer to the continued momentum of the Bush administration, an administration that thunders along, pressing its radical agenda despite myriad transgressions of both law and decency. Moving on, despite being the least supported government in living memory, the woes of Abramoff, and fellow transgressor, Representative Tom DeLay, will do little to slow Team Bush. Today, George Bush would happily take his hero, Richard Nixon's approval ratings at his pre-impeachment nadir, but unlike the benighted Nixon, Bush still has the levers of power firmly in hand. Matthew Continetti, writing for Murdoch News Corp. British organ, The Weekly Standard, illustrates the rabid scurrying of Democrats, eager to distance themselves from the largesse many of their campaigns enjoyed, courtesy of Mr. Abramoff. In his article, 'The Friends of Jack Abramoff' Continetti quotes Democrat Senate leader, Harry Reid in an interview with News Corp. colleague, Chris Matthews of Fox News, saying; "Abramoff gave me no money. So don't lump me in with Jack Abramoff." Of course, Reid's campaign had received money from Abramoff, though through an arm's length conduit. That's how these things are done. Jack Abramoff will, in all likelihood come to inhabit a cell somewhere. Facing mail fraud, tax evasion, wire fraud, and the ubiquitous, "conspiracy" charges, he's already looking at a possible 11 years, on condition his "co-operation" is deemed sufficient by Justice. And doubtless, he will not go down alone. But, by the time this case winds its weary way through the judicial system, George W. Bush will be well past his "mandate." And the democrats will dutiful let this story fall through the cracks. In an election year, the last thing apparatchiks of either party wants is a spotlight shone on the craven criminality endemic to their profession, highlighting the situation in Washington the editors of The New Republic flatly observed, saying; "rule-bending and corruption under this Congress has become pedestrian." So, the bloody mess of intestines tell me: Business as usual for 2006. Next week: The Disappearing of Tom DeLay. C. L. Cook serves as a contributing editor to PEJ News. 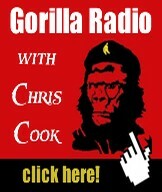 He also hosts Gorilla Radio, a weekly public affairs program, broad/webcast from the University of Victoria, Canada. You can check out the GR Blog here. The enemy, too, has a laptop and satellite link. The new emphasis on security, however, is welcome to some. "When you put your blog out there, you cannot forget that not only the good guys, but the bad guys are accessing it, especially for TTPs," said Marine Capt. Don Caetano, of Mineola, referring to techniques, tactics and procedures. Now a recruiter in Garden City, Caetano was stationed in Fallujah, where he ran the embedded journalist program. "The limitations on blogging basically mean, 'Don't make it easy for them. Don't readily give up information,' " that would endanger U.S. troops, Caetano said. Revealing a minor aspect of strategy or tactics may seem insignificant, Caetano said, but, "If the bad guys take a piece from me, and a piece from you, and a piece from another guy, pretty soon they can gather some pretty good intel." The Army chief of staff, Gen. Peter J. Schoomaker, in August sent a videotaped admonition to overseas troops warning them of the dangers of carelessness on blogs. And, echoing the World War II censorship slogan, "Loose lips sink ships," the Pentagon in November sent out an advisory titled "Loose blogs may blow up BCTs." A BCT is a brigade combat team. Among security breaches in postings on soldiers' Web sites, the Army pointed to photos of an Abrams tank pierced by a rocket-propelled grenade, which could show Iraqi insurgents where to aim. "Something I cannot reiterate often enough is how monumentally misbehaved Iraqi street kids are," Hartley's blog continued. "But some of them are just so darn cute, you can't help but want to squeeze their little faces - until they suffocate." One of Hartley's Web entries on April 24, 2004, carried a photograph of an Iraqi man's partially burned corpse clothed in a bloodied white tunic. Hartley's photo caption was a take on the "I [heart] New York City" slogan. His version: "I [heart] Dead Civilians." There's less of the informal, often coarse language - one soldier speaking to another - that gave a feeling of authenticity and attracted thousands of readers both in and out of the military, said Jon Peede, director of Operation Homecoming, a National Endowment for the Arts program that gives writing instruction to U.S. troops and is creating a collection of their blogs, letters and essays. Yet one drawback to vivid, uncensored descriptions of combat on blogs was that the family of a wounded or killed soldier might get the news impersonally, or worry unnecessarily, Peede said. "A blogger might say, 'We were in a firefight in a particular city, and a fellow Marine was wounded,' " Peede said, "and then 50 families might read that and think it's their son or brother." Besides, wayward milblogs give the world a skewed view of U.S. troops, said Capt. Dan Rice, of Manhattan, who served in Tikrit for 18 months with the U.S. Army National Guard's 42nd Infantry Division. A West Point graduate, Rice served as a finance officer and is now back working as a vice president at the U.S. Trust Co. of New York. Most bloggers are atypical soldiers, said Rice, who wrote a pro-military blog favored by his superior officers. "It will mostly be the risk-takers, the mavericks, and the one percent that's bitter, who will blog." Readers also have taken up the debate. "my only concern is the posting of troopers pics and info ... the jihadist moniter [sic] these blogs too," a visitor to adayiniraq.com wrote. "these troops may have been compromised by these blogs," the visitor wrote. "i for one would rather have no blogs about our troopers if it needlessly endanger's 1 of thier [sic] lives." Marine Cpl. Al Maldonado, 28, of West Hempstead, who saw combat in Iraq, said milblogs help maintain a connection between the troops and their friends, family and community back home. During weeks of supplying tons of ammunition to Marines in Fallujah in November, his family was cheered to find a humorous photo of him on a blog, Maldonado said. Blogs also allow soldiers to simply describe their combat experiences, without feeling they are bragging, Maldonado said. "Sometimes they want to tell everyone what they went through because they're afraid that when they go back, they won't be appreciated for what they've done," he said. Maldonado, an ammo chief, criticized Hartley for blogging about the reloading technique. "To describe your method for loading tracers in a blog, that's pretty stupid. Now I know when three tracers go by me that's when he's reloading," he said. "There's a tremendous communication underground. [Soldiers] talk, they send e-mails, photos," Hersh said from his Washington, D.C., office. "The Army is wasting its time." PEJ News - C. L. Cook - On today's program: NYT-based author, activist, Kung Fu poet and Cool Observor, Mickey Z. and life in an age of lost astonishment. And; Janine Bandcroft with all the good things you can get up to in and around Victoria in the coming New Year. Welcome to the first GR of this new beginning, The Year of the Dog. To look at the times, and the curse we’ve endured these past several years in the form of George W. Bush and his co-defendants to be, one might think there's something lost in the translation. “Interesting” doesn’t begin to describe the brutishness and venality at the acme of American power today. But, fear not good listener, for just beneath the surface smoulders the ember of America’s conscience; burning still beneath the layers of outrage and perfidy heaped upon it, ready to ignite a fire under the feet of those that would destroy the promise of freedom and liberty for all; a fire ready to immolate the pretenders and usurpers of the nation. Mickey Z. is a New York City-based activist and author whose books include: The Seven Deadly Spins, A Giant Mistake: Articles and Essays for Your Intellectual Self-Defence, and The Murdering of My Years. His latest, 50 American Revolutions You’re Not Supposed to Know: Reclaiming American Patriotism is now at a bookstore near you. Mickey Z. and tending the fragile flame of the American Revolution in the first half. And; Janine Bandcroft will join us at the bottom of the hour to bring us up to speed with all that’s good to do in and around Victoria in this year made new, and music and a chance to tell your Christmas and New Year’s tales in the second half. But first, Mickey Z. and reclaiming America. With the holidays past, perhaps it's time to address the future of Canada. In the midst of a mid-winter federal election, what questions are being posed to the Prime Minister? Canadians largely don't care about gay marriages, and what to call Christmas. They do, however, harbour concerns about the fate of the nation, and what it means for us when both of the country's contenders for the Number 1 post are happy to march in lock-step with America into what promises to be a century of military adventurism. Who is asking the BIG question? While the Canadian media monolithe contents itself to echo its U.S. counterparts, Paul Martin and Stephen Harper are free to banter on about issues guaranteed to lull the population into complacent inattention; left unattended is Canada's new role, as elucidated by "Defence" Minister, Bill Graham, in an ever-expanding American military campaign across the planet. A campaign now, according to Der Spiegel, plans to include NATO in plans to bomb Iran's nascent nuclear infrastructure. That the justifications proferred by the U.S. are as flimsy as those flown prior to the Iraq disaster, and in some instances are eerily similar, is too left uncommented on by mainstream information sources. Is it truth of fiction? True to Donald Rumsfeld's intent, it is impossible to know if the United States is serious about the rumoured bombings, or if this is another example of American disinformation. Both the U.S. and Israel have rattled sabres against Iran and its nuclear program for years, an approach that ensured the election of hard-line leader, Mahmoud Ahmadinejad, a leader now conveniently demonized for his recent statements on Israel's right to existence and what he claims to be the "myth" of the Nazi holocaust against the Jewish people. Adding fuel to speculation, Bush loyalist and CIA director, Porter Goss during a recent visit to Turkey reportedly informed Ankara to be prepared for an air-strike against Iran. In return for Turkish assistance, Der Spiegel suggests the U.S. sanctioned an attack against the Kurdish Workers Party (KPP), the leaders of Kurdish independence and long-time Turkish bane, who have enjoyed American protection since the first Gulf War. How this factum, should it prove true, will fly with the Kurds and their Israeli allies in Iraq is an intriguing curiosity. Apparently informed too of America's intent were regional players, Saudi Arabia, Jordan, Oman and Pakistan. The Berlin daily, Der Tagesspiegal also reports, Western allies have also been alerted. Though both the German and Turkish governments are playing down the possibility of an attack, a steady procession of U.S. leaders, most lately Secretary of State, Condoleeza Rice and NATO's defence minister has many wondering what the sudden interest in Turkey means. So, will NATO partner Canada join a bombing campaign in Iran as it did in Yugoslavia? It’s a question that may need answering before the country’s January 23rd election. 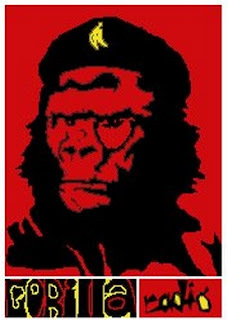 C. L. Cook is a contributing editor to PEJ News and host of Gorilla Radio, a weekly public affairs program, broad/webcast from the University of Victoria, Canada. You can check out the GR Blog here.